CES 2018: Kodak soars on KodakCoin and Bitcoin mining plans. Shares in photo firm Eastman Kodak soared nearly 120% after it revealed plans to mint its own crypto-currency, the KodakCoin. 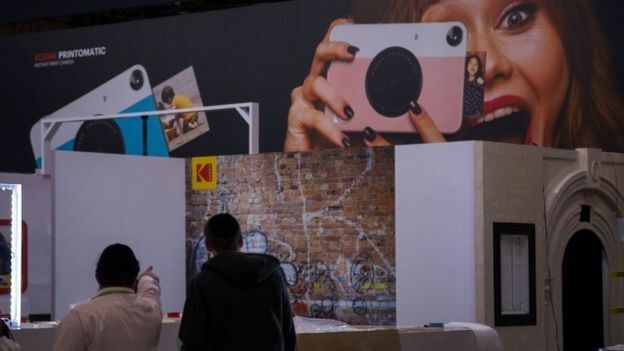 Details of this second scheme – which is being branded the Kodak Kashmir – were outlined at the CES tech show in Las Vegas. “This is a phenomenon we saw back during the dot com days in the late 1990s where traditional companies would mention some kind of internet strategy and their stock price would jump up,” commented Garrick Hileman from the University of Cambridge. Kodak developed a digital camera in 1975, but decided not to commercialise the technology at the time, and its hesitation to leave behind its film heritage is thought by some to have contributed to it filing for bankruptcy protection years later in 2012. 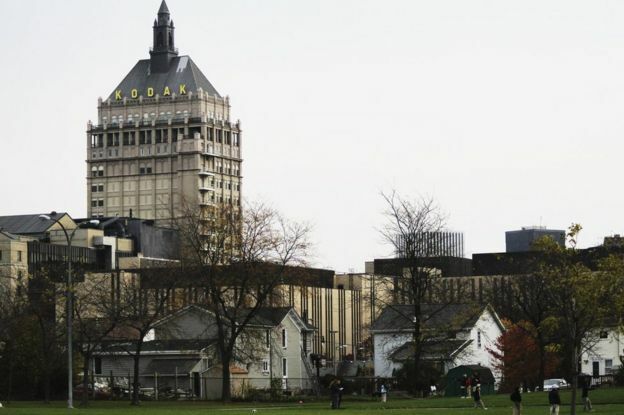 Since that collapse, Kodak has licensed its brand to a variety of manufacturers, with the mark appearing on batteries, printers, drones, tablet computers and digital cameras. The KashMiner operation will be run by Spotlite, a licensee that had previously teamed up with Kodak to use its brand to market LED lights. Mining involves carrying out processor-intensive tasks to solve complicated mathematical problems in order to verify crypto-currency transactions. 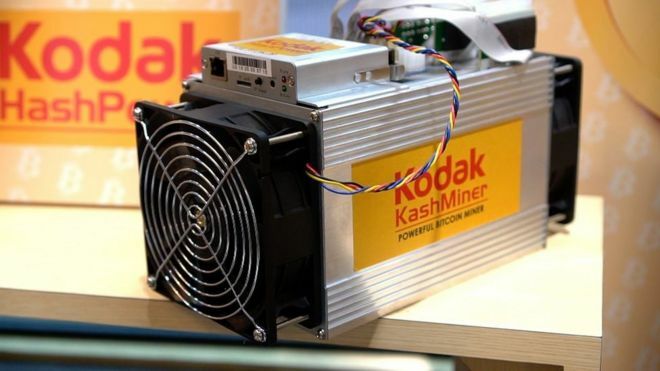 Any Bitcoins generated by Kodak KashMiner will be shared between the customer and the business. Each of the mining rig boxes – which include computer processors and fans to keep them cool – will use about the same amount of electricity as running a hairdryer around the clock. But the scheme will be able to take advantage of Kodak’s on-site power generating plant, which has had spare capacity since Kodak’s heyday. The company says it can power each rig for four cents per kilowatt hour, which is significantly cheaper than running a rig at home. Kodak’s other initiative, the KodakCoin, is being created as part of an effort to build a global ledger of picture rights ownership that photographers can add their work to. Associated KodakOne software will be used to crawl the web and find pictures that have been used without permission. The company said it would then “manage the licensing process,” so the photographer can be paid, in KodakCoin. “Kodak has always sought to democratize photography and make licensing fair to artists,” said Kodak chief executive Jeff Clarke. The company’s shares traded more than 130% above their opening price after the announcement before closing the day 119.4% higher. But one expert had doubts. “Storing the information in a blockchain doesn’t protect your copyright any more than copyright law already does,” commented David Gerard, author of Attack of the 50ft Blockchain. “Notice how they’re marketing it: they state a problem, then say the blockchain can solve it. But there’s no mechanism by which the blockchain could do that. Even so, some think Kodak will not be the last household name to associate itself with an ICO. “I expect we are going to see more major brands releasing their own tokens and currencies to support various products and services,” commented Mr Hileman.